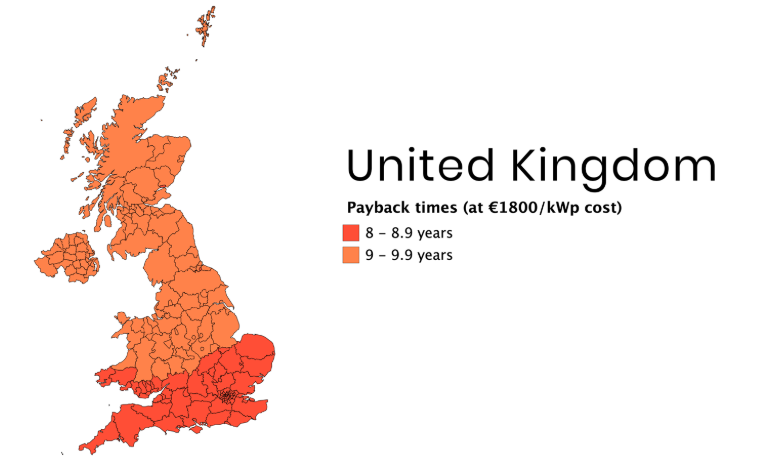 Solar Payback Trends 2019 is the first Solar Insight publication by Otovo and was published the 21 February 2019 on their blog. 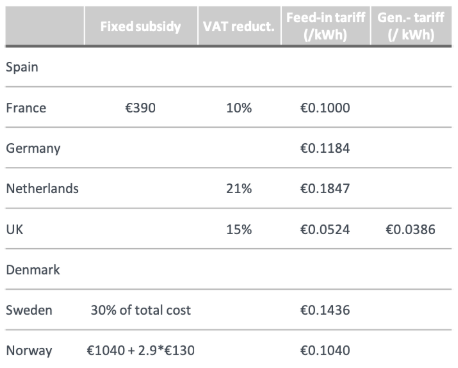 This report analyses eight European markets based on their solar resources (1); electricity prices (2); subsidies, taxes and feed-in tariff regimes (3). For some countries, future policy changes are communicated such as e.g. in the United Kingdom where solar projects installed from April 2019 will be subject to revised and less attractive conditions. This analysis however, is based on the current subsidy conditions, reflecting the variations between countries as it is today. The assumption to keep costs equal should be valid in the medium to long term, as there is no reason installations should have substantially different gross cost in Europe since the hardware is identical, system sizes are pretty consistent across countries and labour cost differences for installers are small. Otovo has proven this to hold even in Scandinavia, where we observe system costs equal to Germany, despite small installation volumes thanks to a highly digitised sales- and planning process. In the short term however, we know that price variations occur, both between and within countries. Thus some mature countries, such as the Netherlands, with relatively short distances and a large pool of experienced installation companies, might achieve lower costs which again would push the payback-time down. Similarly, decentralised areas in less mature countries, such as Norway, might experience higher costs which will increase the expected payback time from what outlined here. 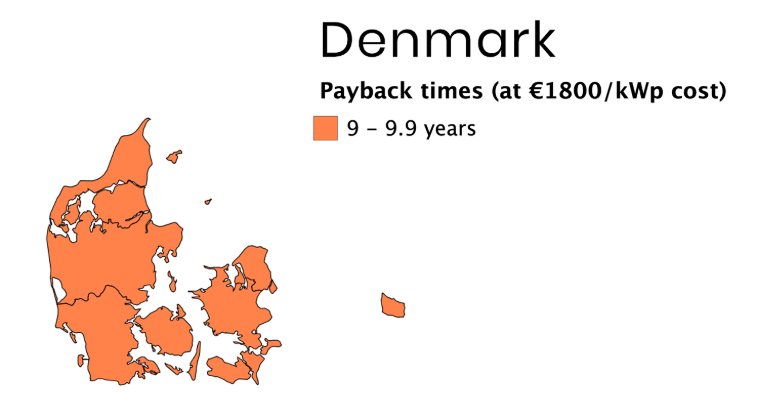 Still, the analysis gives a good picture of how the payback time differs within areas and across countries. 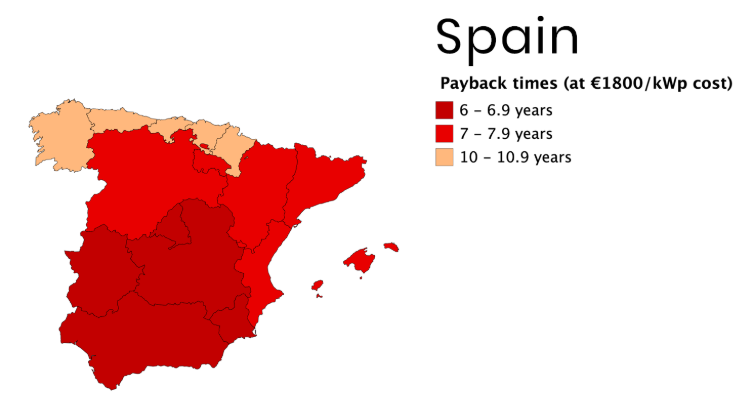 Looking at the overall results, the map on the top outlines the calculated payback times in the different areas across the selected countries. 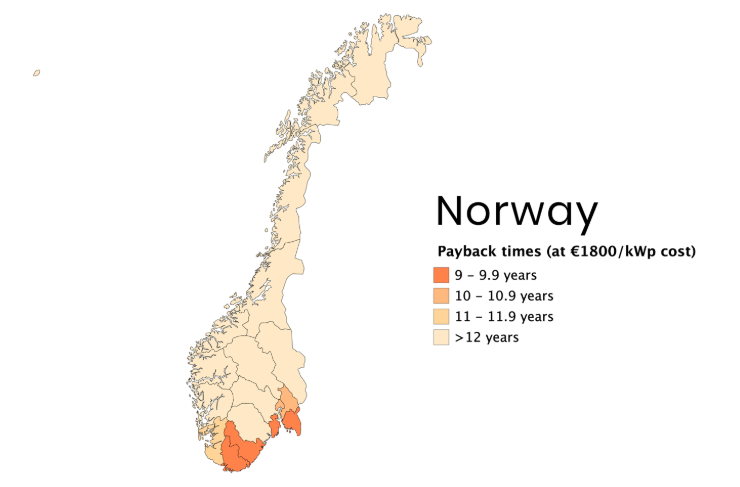 The payback times varies from less than six years in the southern areas of France, to above 12 years in the northern areas of Norway. 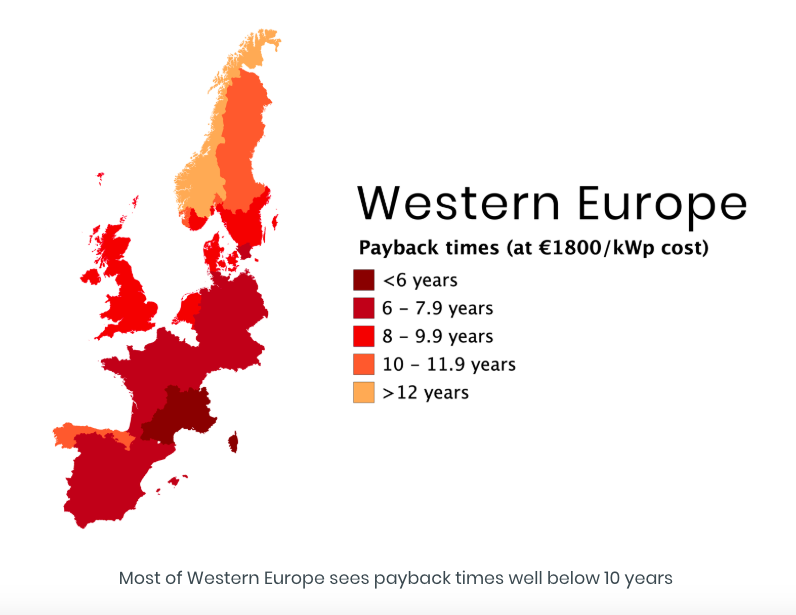 In general though, the analysis shows that most of Western Europe sees payback times well below 10 years, and for the countries included from continental Europe, a solar system pay itself back within 8 years or less. Norway is perhaps the biggest surprise in this analysis. 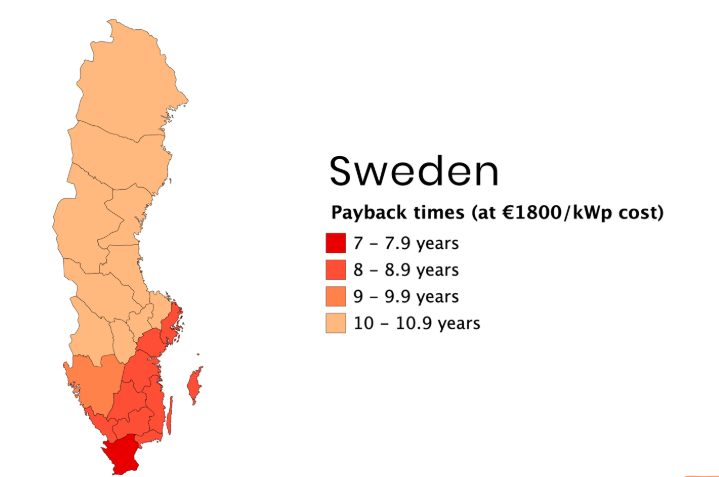 Just a year ago most of the country had payback times of well above 12 years, depressed by the low hydroelectric electricity prices and poor solar conditions in the West and North. 2018 however has seen electricity prices come up due to a dry first half of the year, increased energy trade with its neighbouring countries and higher CO2 prices in Europe.